ibis budget Enfield is situated on the major arterial road of Hume Highway, only five minutes' drive from Sydney Olympic Park, and close to the Sydney Showground and Flemington Markets. Ideal for value conscious visitors travelling to Sydney for business or leisure, couples and small families, our well-appointed rooms feature all the essentials for a relaxing stay. Take advantage of the complimentary onsite parking and complete your stay with breakfast from our Breakfast Bar. 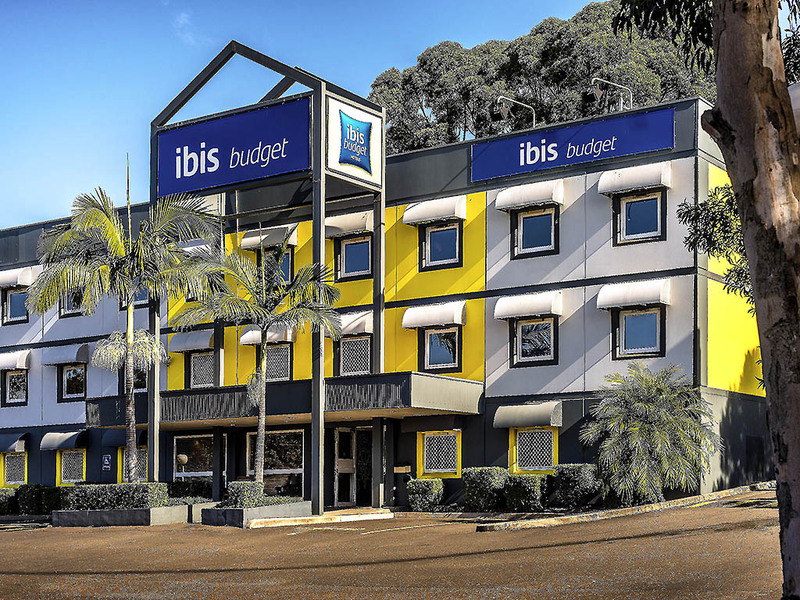 With its convenient location close to major roads and Strathfield train station, ibis budget Enfield is the ideal choice for visitors travelling to Sydney for business or leisure. This affordable Sydney hotel is just five minutes from Sydney Olympic Park, home to ANZ Stadium, Allphones Arena and the Sydney Showground. Guests are also just half an hour from Sydney city centre and its many restaurants, bars, cafés, shops and attractions, such as the famous Sydney Opera House and Sydney Harbour Bridge. With Sydney Olympic Park just five minutes away, ibis budget Enfield is the ideal choice for guests attending a conference at the Park or an event at ANZ Stadium, Allphones Arena or the Sydney Showground. Guests are also within easy reach of Sydney CBD. Ideally suited for business guests and visitors travelling to Sydney for leisure, guest rooms at ibis budget Enfield are functional and comfortable, providing everything needed for a restful night's sleep. Guests searching for hotels in Sydney can enjoy a range of convenient accommodation features at this affordable hotel, which include a modern private ensuite, a desk and chair, a clothes hanging rack, air conditioning and a colour TV. Rooms are serviced daily. Only stayed 1 night, arrived late, 10.00pm, sign on room key machine said hotel was full. Entered my details and then was told I was not registered. Rang the night manager and was told my key was in an envelope in the mail box by the door. After that the stay was fine. small room, t.v, shower and toilet. Coffee was very average. But like I said, Budget room for 1 night was quite acceptable. Very good...if anything could probably have more information on public transport for visitors like me. Information about having to buy bus passes, train passes etc. Also maybe information about close shopping centres, places to eat apart from MacDonald's and KFC. Room clean, comfortable, quiet, staff pleasant, tea making facilities & tasty breakfast all appreciated. The cappuccino was great! Our only complaint was that we requested a ground floor room at the time of booking, due to a disability, but were given a top floor room instead. Further, we noticed another guest on crutches who was also given a top floor room. I checked in via online kiosk paid for the room then froze. I saw the front desk and was asked to pay again. Double the money was deducted from my account. The bed was very uncomfortable. To pay $144 for a room with no wardrobe and bathroom the size of a postage with no face washers provided is highway robbery, when a much better motel 1.5 km up the road is $130 for the same night. If you are calling yourself budget the price should be reflected. Never again. Ibis Budget at Enfield. It was our last stop before travelling back to Singapore. We expected a comfort stay. Yes we did have a good sleep. Thanks for the comfort mattress. If there's no miscommunication before our check in, it would be a great stay. 1st, we called Ibis to confirm our stay (thru booking.com) and asked if we can have 1 day earlier check in. Instead of checking in on 23/2, we would like to get an extra day, will check in on 22/2 instead. The staff checked and replied can proceed with the extra day booking. We got the confirmation thru phone. Ibis sent an email, due to is travelling period, i wasn't pay much attention on the date. The staff have booked us a wrong date. The result was we arrived on 22/2 10pm. as told we have not any booking with them, the room is fully booked, we had been asked to leave. We spent 30mins to make more than 15 calls to nearby hotel, but it's all fully booked. Around 11pm, We're lucky enough found a motel which located 40mins away from us. Leave with no choice, we travel to the motel full with disappointment, angriness. Definitely not what we expected to get this treatment from Ibis. 2nd, we called on 18/2 morning to check if we can leave our luggage before check in on 22/2. We're travelling from Sydney City to Katoomba. The staff replied and said we can leave our luggage there. (Without confirm my booking details) We took a Taxi from Park St to Ibis Enfiled, cost us $41. We pack and ready to leave our luggage there. The staff said we not allow to do so, and sorry he was mistaken by i check in on that day. Last minutes changes. we have to bring all our luggage to Katoomba. I understand different hotel rules. We have been travel different places and respect individual hotel's rules, that's the reason we called and check. Due to the staff lack of communication, we paid extra travel there for nothing. However, i would like to thanks for the staff (sorry, i didn't get his name) He is just doing his job to tell us the room is fully booked and we had to leave. We're fully understand his duty. We appreciate his effort trying to help find out what's happening. (Even there' no good solution for us). He offered us a complimentary stay for the 1 night stay at Ibis. We're thankful he did something to compensate us in this incident. It was an unpleasant experience with Ibis, but the staff did apologise and make a reasonable offer to us. Thanks for reading. It was good with excellent customer service from the receptionist. I wasn't happy that face washers are no longer supplied. When moving out on Sunday morning it was very hard to manoeuvre around the room attendants & their trolleys that blocked the hallway. The room attendants saw me coming with bags & they remained standing in the way which I found to be quite rude. The place was ok. We arrived late and I had noted this when I made the booking. The website did NOT indicate that reception closed at 10 and I was not happy about that. However, James assisted and checkin (collecting keys and getting in) was a breeze. The room was neat and tidy. The staff was very nice and friendly. It was great for the price paid. Clean room, furniture, beds, etc. Friendly staff, inc cleaners. Great brekky. Only minus...noisy aircon. Unable to open window. I have stayed in ibis budget in Dubbo, Canberra, Coffs, St Peters and here. Enfield is one of the best.